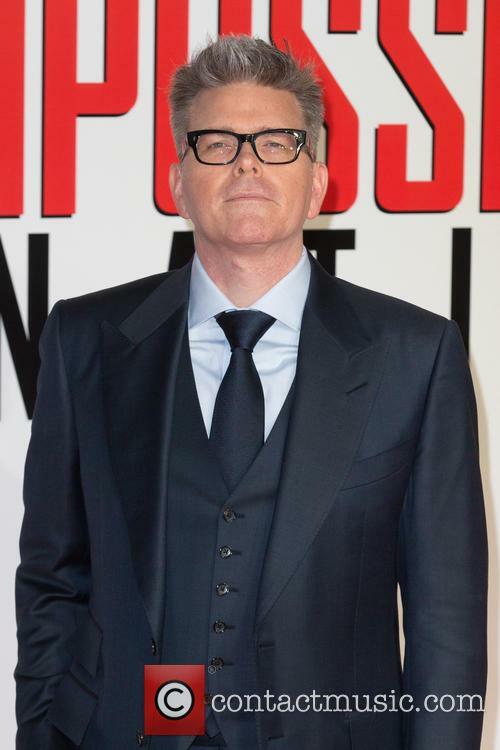 If you read our story on Tom Cruise working with Simon Pegg on 'Mission: Impossible - Rogue Nation', you'll know that the Hollywood star did his own stunts for the film including the seriously dangerous driving - and he was shocked at how much Pegg trusted him. 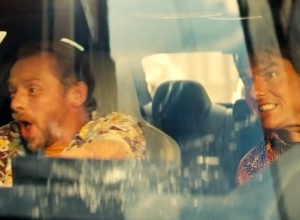 Looking at this clip - featuring the duo in said car chase - Pegg's acting talent is incredible; either that or he didn't quite trust his co-star as much as Cruise thought and was genuinely scared the whole time. We sure would be. 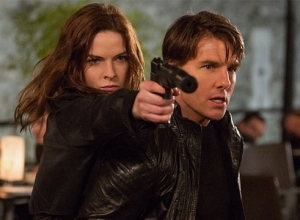 The latest instalment of the spy franchise, directed by Christopher McQuarrie, is out in theatres now. 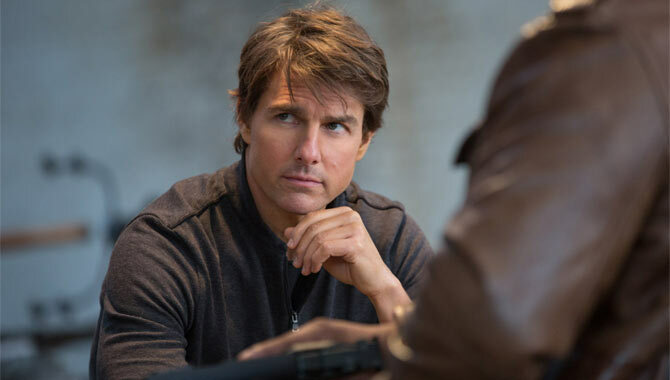 At age 53, Tom Cruise shows no signs of slowing down, still doing his own stunts in the latest instalment of the Mission: Impossible franchise, which he has also been producing since the first film in 1996. 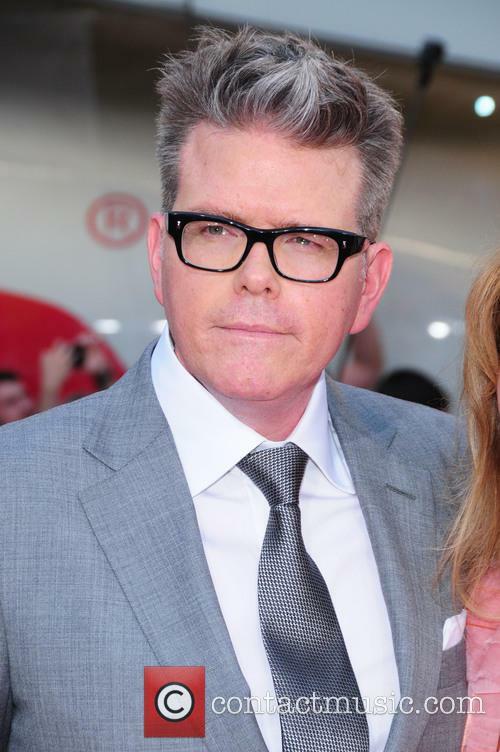 This summer's Mission: Impossible - Rogue Nation is written and directed by Oscar-winner Christopher McQuarrie, who also worked with Cruise on Valkyrie, Jack Reacher and Edge of Tomorrow. He brings a more grounded touch to the series, including stunts that feel almost frighteningly realistic. The IMF (Impossible Mission Force) have been active for years, but it's time has run out. The head of the CIA (Alec Baldwin) informs them that they are to be disbanded, but some people can't actually adjust to that sort of thing. 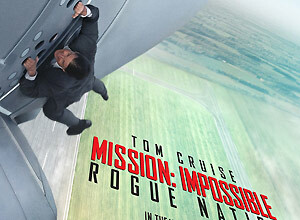 Ethan Hunt (Tom Cruise) can't let go, and soon discovers that the IMF is actually needed more than ever. The Syndicate - a Rouge Nation - has been steadily growing over the years, and is seen as an anti-IMF. 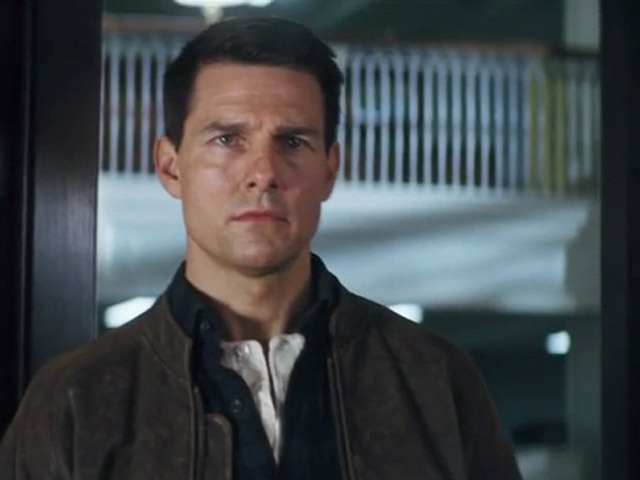 Now, Hunt and his team must engage in their most impossible mission to date, and fight an enemy which, officially, does not exist. Despite their countless missions, most of which deemed impossible, the IMF is closing down. 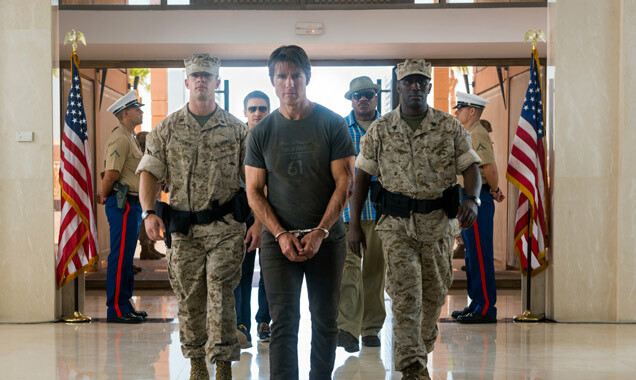 Considered an irrelevant and archaic group, the government intends to tie off any loose ends - especially Ethan Hunt (Tom Cruise). The problem is, Hunt is a veteran, and a tremendous agent of the IMF, and has uncovered a terrifying secret rouge nation, known as The Syndicate. Hunt plans to track down, expose and destroy The Syndicate through any means necessary. To that end, he recruits his old friends and colleges from the IMF, and plans to take the fight to them. Even if the mission is impossible. Does 'World War Z' Have A Hidden Pro-North Korean Message? Brad Pitt's World War Z surprised everyone by pulling in over $60 million in North America alone during its opening weekend. 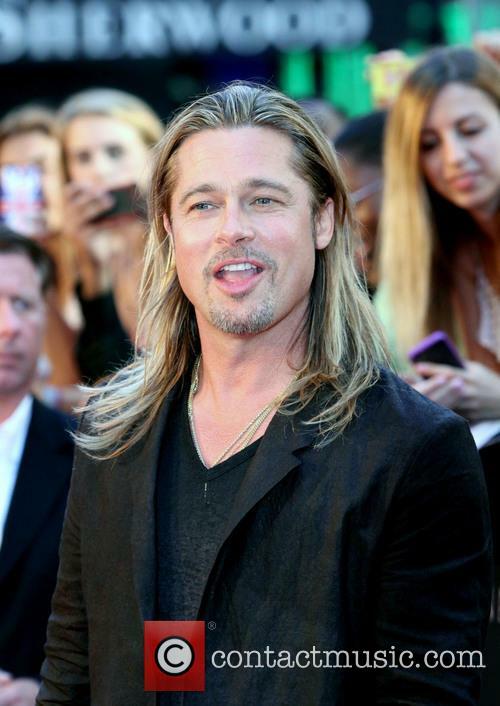 Brad Pitt and Marc Forster's World War Z is undoubtedly a success given the state the movie was in some 6 months ago. Working on a huge budget, the zombie apocalypse movie was shaping up to be one of the biggest flops in cinematic history with murmurings of re-shoots, changed endings and discontent leaking from the set on a weekly basis. According to a report in the New York Magazine's Vulture section, relations between Pitt and Forster became so fraught that the pair stopped speaking to each other altogether. Things apparently got so bad that when Forster had notes on a scene for Pitt, they had to be relayed through an intermediary. Continue reading: Does 'World War Z' Have A Hidden Pro-North Korean Message? We may sigh heavily at the thought of yet another fairy tale blockbuster, but the filmmakers and cast here demand a bit more attention. And sure enough, it's refreshingly smarter and funnier than we expect. There are still the problems of unnecessary 3D and far too many digital characters, but the restless pace and the witty performances make it a lot of fun to watch. 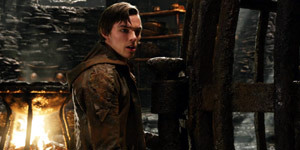 It's Jack and the Beanstalk with added action mayhem, as orphaned farmboy Jack (Hoult) sells his horse for a bag of supposedly magic beans. When one inadvertently gets wet, a massive beanstalk manages to propel Princess Isabelle (Tomlinson) into the realm of the giants, reawakening a legend that had died off centuries ago. 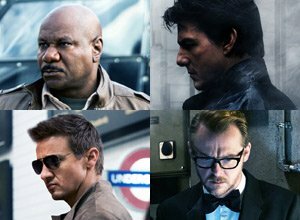 So the King (McShane) enlists Jack to join a rescue team of guards (including McGregor, Marsan and Bremner) and Isabelle's intended, the shifty Roderick (Tucci). Up above the clouds, they encounter two-headed giant Fallon (Nighy) and his nasty horde. But rescuing Isabelle is only the first problem they face. The freewheeling plot zips along without pausing for breath, encompassing massive set pieces and more gritty battles as well as small moments of drama and romance. Meanwhile, Jack and Isabelle cast lusty glances at each other, even when they're in physical peril. Director Singer brings out the energy of the characters to keep us involved, playing on the vertiginous angles of the settings while playfully deploying fairy tale imagery in the sets, costumes and landscapes. it's understandably why he decided to digitally create the giants rather than have actors play them, but this leaves a hole where the monsters should be. Aside from Nighy's more obviously performance-captured face, all of them look like dead-eyed cartoons, which essentially turns the film into a medieval Transformers movie. 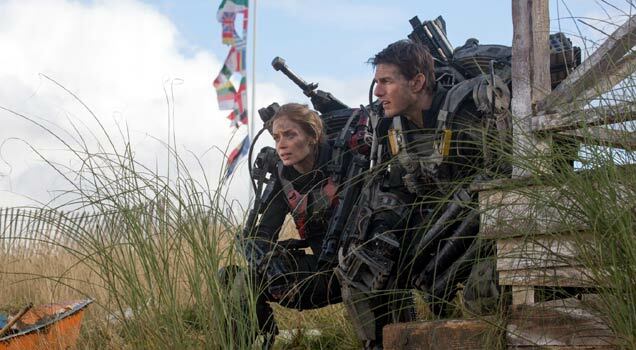 Tom Cruise may be oddly miscast in this big action movie, but he certainly knows how to make one of these preposterous films connect with an audience. And writer-director McQuarrie adds a driving sense of internal logic that keeps it consistently enjoyable. So even if the hero in Lee Child's series of novels is a 6-foot-5 blond-haired, blue-eyed muscle-man, the cast and crew get away withThe story takes place in Pittsburgh, where a multiple shooting leads Detective Emerson (Oyelowo) and DA Rodin (Jenkins) to a withdrawn gun nut (Sikora). 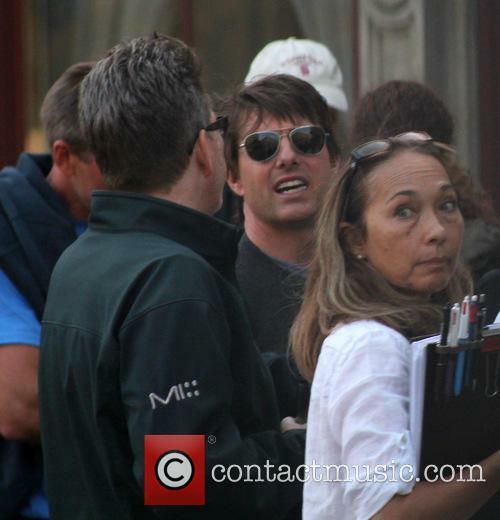 It seems like an open-and-shut case until man of mystery Jack Reache (Cruise) turns up. An off-the-grid ex-Army agent, Jack offers to help defence attorney Helen (Pike) prove her client's innocence. Of course, he instantly solves the case, uncovering a conspiracy and putting himself and Helen in danger from a ruthless Russian (Herzog) and his henchman (Courtenay). Meanwhile, Jack befriends a gun-range owner (Duvall) who has a connection to the case. There's clearly an attempt here to echo Bourne-style questioning of identity and morality through Jack's hazy history and super-spy methodology. And the plot is also packed with far-fetched details and silly connections (Helen is Rodin's daughter), although McQuarrie does his best to keep things plausible and intelligent enough to hold our attention. There's also a sense of the bigger issue in Jack's life, that he can't cope with the grey-scale relativity in society and prefers right-or-wrong battlefield morality. He also hates modern-day connectivity, refusing to carry a mobile phone. But then he doesn't travel with a vehicle, weapon or change of clothing either; he prefers to "borrow" everything as needed. 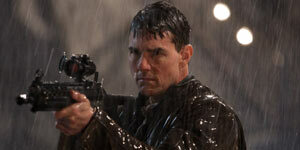 Despite being nearly a foot shorter than the literary Jack, Cruise inhabits the role nicely, offering a slightly scrapper, more shadowy version of his Mission: Impossible character. But he's just as sexless, never putting much oomph into his flirtation with the always terrific Pike. On the other hand, he generously lets his costars steal every scene. Duvall is hilariously offhanded, while Herzog adds his own mad genius into his role as a, well, mad genius. And Oyelowo more than holds his own opposite these veteran hams. So even if the film never tries to be anything more than a ripping, mindless thriller, the stylish filmmaking and cool characters make it an enjoyable waste of time. 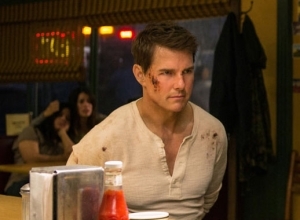 Opening on a terrified-looking man in a hospital bed, we are immediately informed that Jack Reacher is a, "kind of cop", but doesn't care about proof or the law, only what's right. 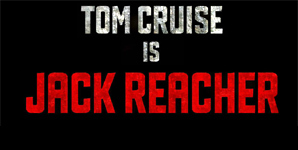 From the word go, we ca see that Reacher is not a man to be trifled with.